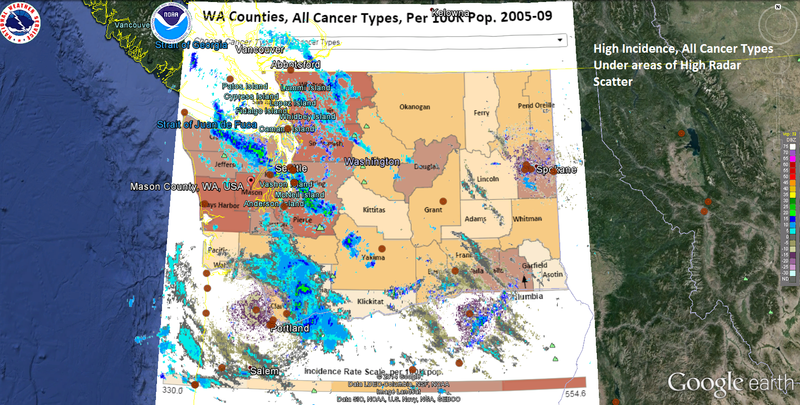 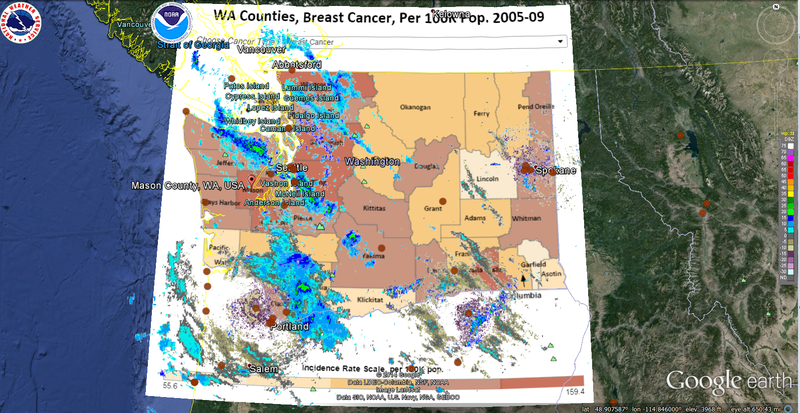 Waldman M1, Nicholson S, Adilov N, Williams J.
Seattle area gets lots of precipitation/cloud cover year round. 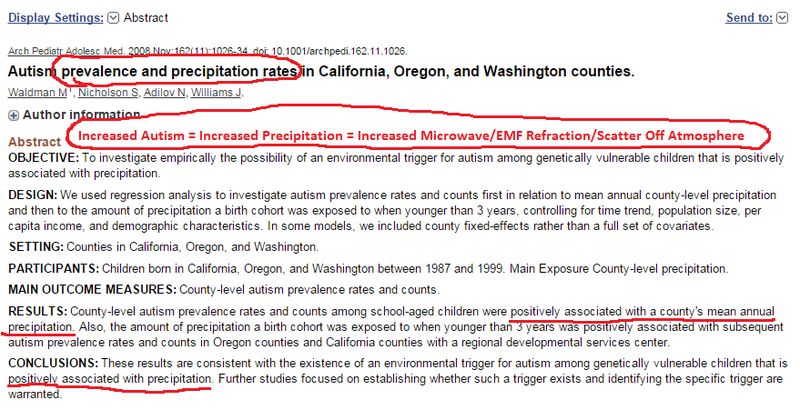 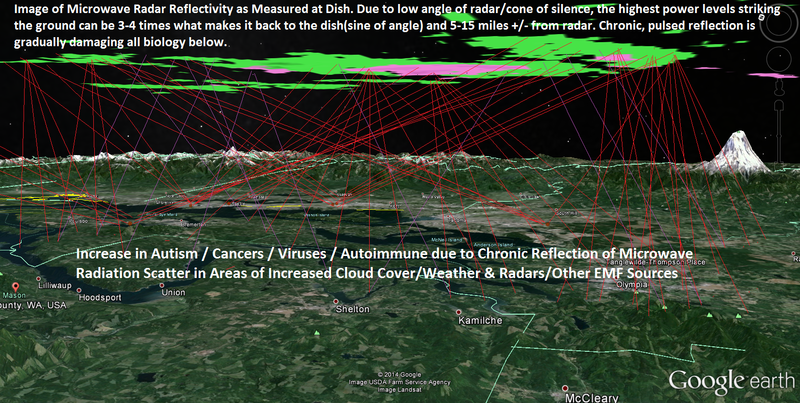 They also have lots of radars/EMF sources that create chronic reflection. 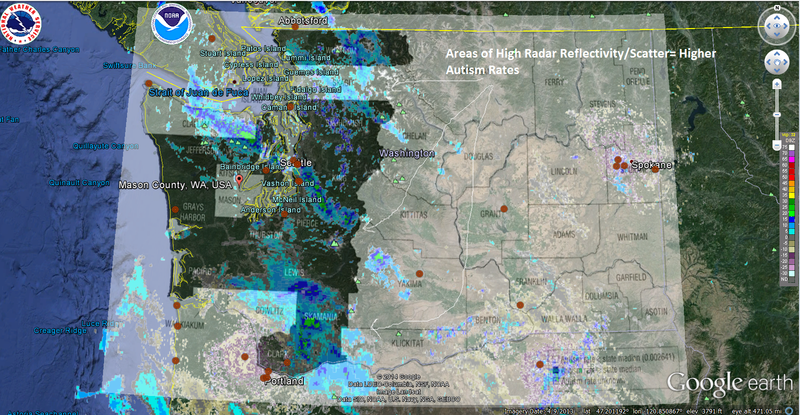 2.7-3.0 GHz reflection area matches well with high autism rate area.